Shower caddies are awesome because they can save you from a sink full of clutter, but they also have a tendency to slide down your shower head. 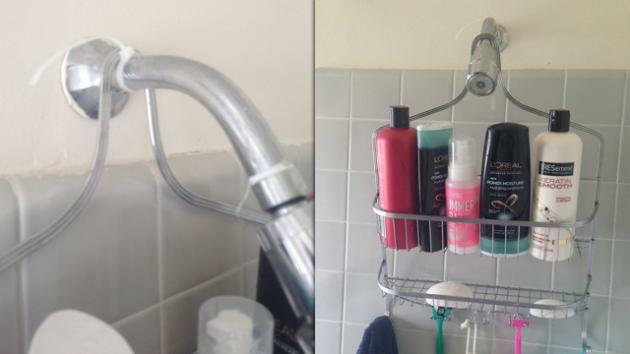 According to LifeProTips, the easiest solution is tie a zip tie around the neck of the shower head to prevent the caddy from moving forward. Problem solved.